That’s what my optomotrist is always asking me as I peer through the phoropter during my annual eye exam. It’s also what I ask myself in the never-ending battle which pits two schools of thought against one another on the state of general aviation in the United States. On one shoulder stands a little guy who points out how flying is becoming less accessible due to escalating costs and regulatory burdens. He says, look at the number of active pilot falling each year, see how airports have become unwelcoming barbed wire fortresses, and notice how even the best primary flight schools are struggling just to survive. His nemesis on the other shoulder, however, points out things like this article heralding the availability of a instrument rating for French pilots and and says “remember how good you’ve got it here in the U.S., buddy!”. Today it’s this perspective which is winning the fight. It’s 2011. People have been flying on instruments for 82 years! How is it possible that France’s general aviation community hasn’t had an instrument rating available until now? It may be a perfectly sensible history for pilots on the other side of the Atlantic, but to most aviators on this continent it will engender serious puzzlement. What did they do when Instrument Meteorological Conditions (IMC) were present? To earn an instrument rating under pan-European rules, pilots must enroll in a professional flight training school, spending more than 20,000 euros and studying such topics as the hydraulic systems of airliners and calculations of Mach number, according to AOPA France. Twenty thousand euros is approximately $30,000 U.S. dollars at today’s exchange rates. And note that the article says “more than” 20,000 euros, so who knows what a real-world number would be for a typical non-professional European pilot. Beyond the financial cost, there’s also the time investment. The ground study course for the JAA instrument rating is several hundred hours long and covers items of no use to a GA instrument pilot such as the aforementioned heavy metal hydraulic systems and Mach number computations. The presence of these study topics mystifies me. Some would claim that the JAA instrument rating simply makes no distinction between the professional and non-professional instrument pilot and trains every student to the same standard. But we do the exact same thing here in the United States. 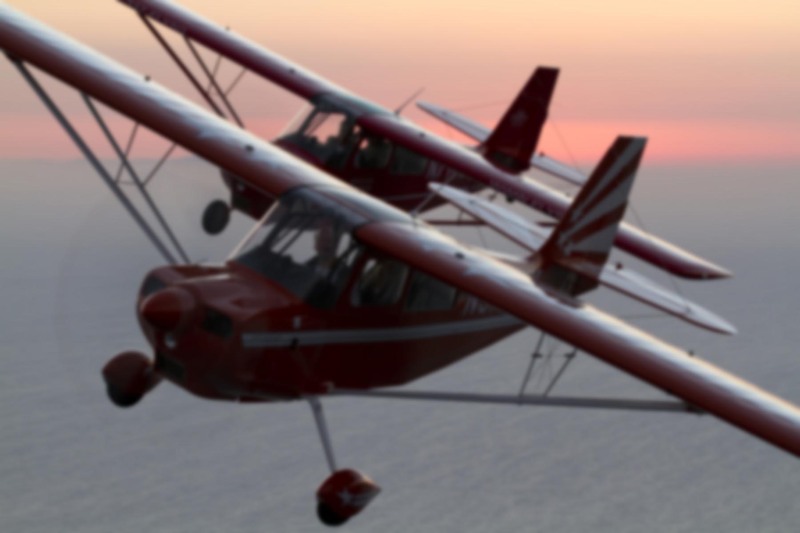 Once you’ve received a U.S. instrument rating, that’s as much official instrument training as you’ll receive up to and including your type rating for that airline gig. Items like Mach computation and hydraulic systems are placed in the aircraft-specific training, which is as it should be. If your airplane is not capable of achieving high airspeeds and/or does not have hydraulic systems, why should you be studying those things when pursuing an instrument rating? Suddenly I have a lot more respect for the FAA. Or at least, for those who designed our rating and certificate programs, as our path from neophyte to instrument-capable pilot is a much shorter and effective one. As they say, people vote with their wallets, and you’ll find far more European pilots with U.S. instrument ratings than Europeans with the JAA equivalent. As if this isn’t enough, there are also instrument ratings of various types for individual European countries, each varying in their requirements and privileges. The United Kingdom has one. France’s new instrument rating is another example. The problem is that those ratings are only valid when flying in that one country’s airspace. Oh, and you have to be flying an aircraft registered in that country. European countries are akin to American states in geographic size, so if you’re an American, imagine having your instrument privileges limited to your home state. Doesn’t make flying very convenient, does it? This is why most GA airplanes in Europe are registered in the United States. Pilots can then fly throughout Europe using the U.S. instrument rating. In fact, this practice is so common that there are even organizations like N-Flyers which exist to defend this work-around as the only viable way for European GA pilots to legally fly on instruments throughout the Continent. It also reduces cost because aircraft maintenance can also be performed using U.S. standards. Assuming you surmount the JAA instrument rating hurdles or fly an N-registered aircraft using a U.S. instrument rating, Europe still leaves you with a few other surprises of a financial nature. Flying in Europe is extraordinarily expensive. Avgas is far more pricey, the landing fees for even small airports can be $100 or more, and you will find yourself the recipient of a bill for air traffic services called “Eurocharges”. This sort of thing has been proposed for the United States by various administrations under the neutral-sounding name “user fees”. Recent developments, however, are much worse for GA. The UK CAA (strongly supported by the airlines – or is it the other way round?) have suggested abandoning the weight formula altogether, meaning that a light aircraft would cost the same as a 747! With current basic rates, that would come to around £1 per NM in UK airspace, but the basic rate would have to go up in order to compensate for the relative loss of revenue from larger aircraft, bringing the cost per NM closer to £2. The average across all Eurocontrol airspaces would then be around Euro 1.80 (£1.20) per NM. That’s one way of doing away with all those small bills. The few GA aircraft left flying would each generate huge bills! To add insult to injury, the 2-tonne threshold is also under threat, so if the airlines get their way, you could end up paying £2 per NM to fly your Cherokee IFR in the UK! The author may be positing at worst-case scenario, but just for reference, £2 is $3.21 US at today’s exchange rate. If we had that sort of thing here, a one way flight from Los Angeles to Las Vegas would cost $642 in air traffic fees alone. So while the news of France’s new instrument rating is good, and hopefully the start of better things to come for pilots in the Eurozone, it doesn’t take much research on the state of general aviation around the world to realize that things don’t seem so bad here at home. Our challenge here in the U.S. is to avoid complacency, because user fees and bureaucracy are a perpetual threat, and I’ve no doubt they can turn our aviation system into Europe’s faster than any of us care to admit.